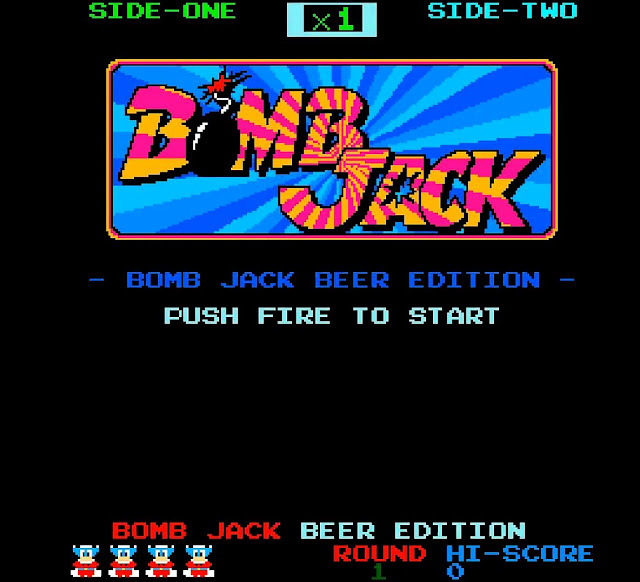 This is a short and sweet update as we've been contacted by Graeme Cowie that his work in progress enhanced version of Bomb Jack as Bomb Jack Beer edition, has been updated to beta version 2C. Now some of you may be wondering what exactly could've been done in such a short time from the previous version, well the developer has told us this version now works on AGA chipsets! So yes Commodore Amiga's such as the A1200 can now feel the Bomb Jack love! Although not much else has changed the gameplay remains the same, basically hop about the screen grab all the bombs, avoid the enemies and try and save historic places of interest! Be aware this is still a work in progress and as such may have bugs or other issues that will need to be fixed.